It takes a mix of skill and luck to tend a garden well, but it’s impossible without a certain amount of kindness tended. While the cyclical nature of gardening seems inherent, in some ways, Heynderickx is just beginning. Her debut album, named I Need to Start a Garden out of a search for calm through these waves of uncertainty and upheaval, is out now via Mama Bird Recording Co.
For the empathetic singer/songwriter, the reasons for seeking such acceptance and understanding stem from a life of paradoxes. Heynderickx grew up in a religious household in Oregon, closely identifying with her Filipino roots, but also straddling multiple cultural identities. Now residing in Portland, her faith is not overt, but her introspection and continued struggle for self-actualization are easily accessible and relatable. Likewise, the tracks on I Need to Start a Garden reflect these seemingly disparate elements. Through soft acoustic guitar picking and deftly accented trombone sighs, Heynderickx’s music immediately recalls folk music of the '60s and '70s mixed with a love of jazz radio. But Heynderickx’s singing—her vocals that range from sultry to operatic—belie a tenacity in her soul. It’s a balance then, between exposing and protecting herself on I Need to Start a Garden. Heynderickx vacillates between powerlessness (opener “No Face”) and empowerment (lead single "Oom Sha La La"). But her generosity of spirit remains the constant throughout the whole album. You can hear that exceptional care in “Jo”, as she whispers, “You tended your garden like heaven and hell / and you built the birds houses to see if it helped at all.” Aware of the birds, the garden, and anyone listening acutely, Heynderickx’s music serves as an invitation for all to join her. Because the beauty of a garden is that, while it’s often started for deeply personal reasons, its bounty is best consumed and shared with others. I Need to Start a Garden was produced, engineered and mixed by Zak Kimball at Nomah Studios in Portland, Oregon. 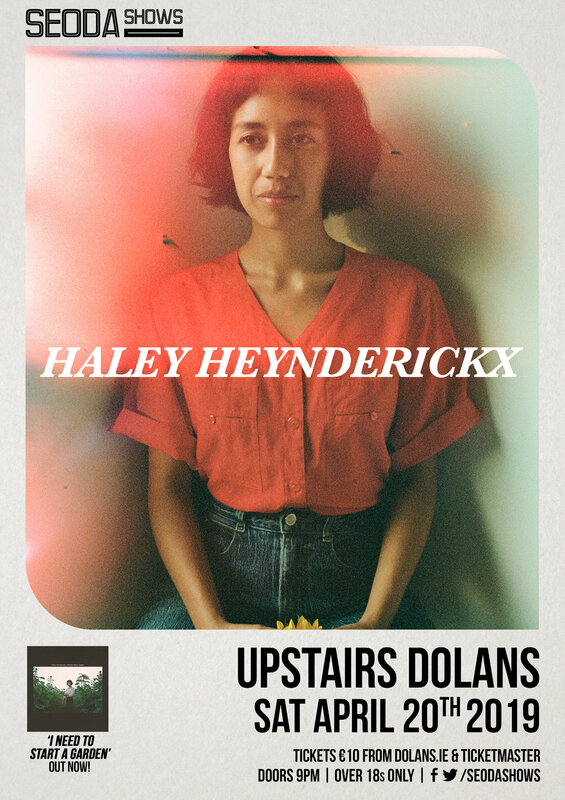 Haley Heynderickx co-produced the album. It was mastered by Timothy Stollenwerk at Stereophonic Mastering in Portland. The record features Lily Breshears (Bass, Keys, Backing Vocals), Denzel Mendoza (Trombone, Backing Vocals), Phillip Rogers (Drums, Percussion, Backing Vocals) and Tim Sweeney (Upright Bass).